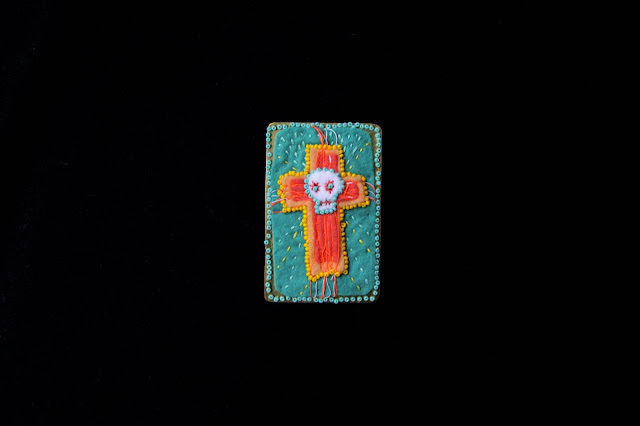 Made of brass, felt, glass beads, silk thread, this brooch is from the Rose tint my world series. 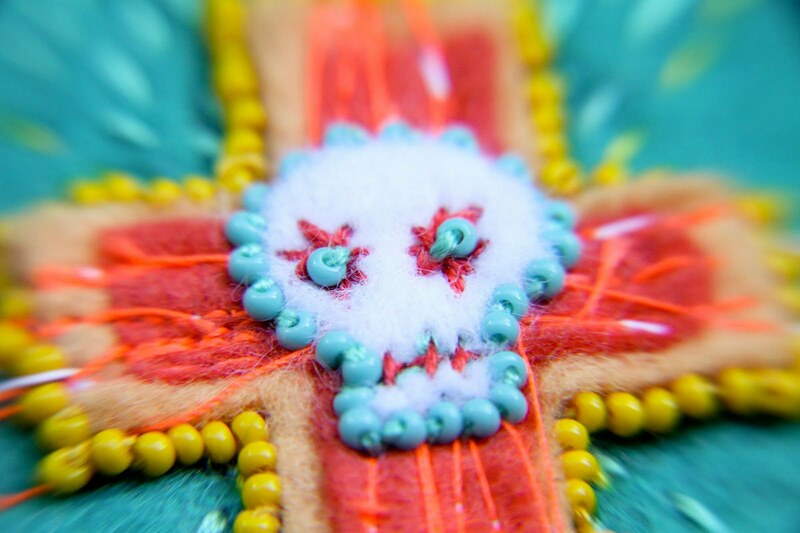 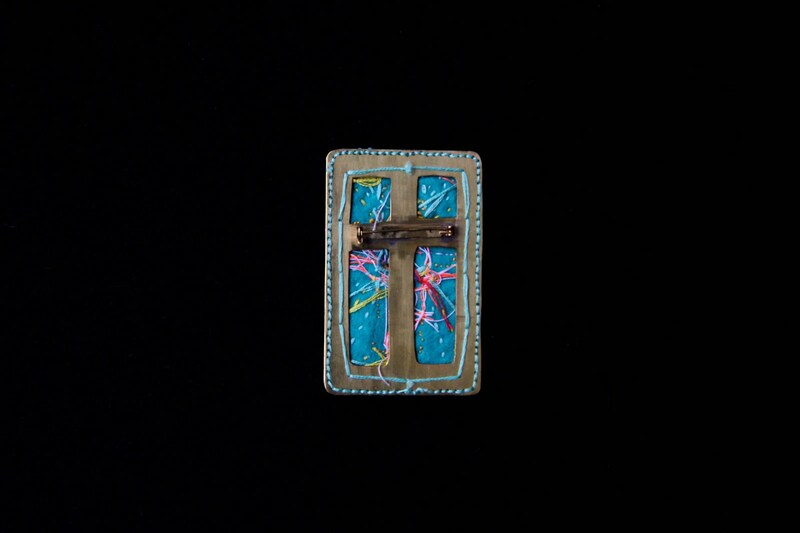 The cross and the skull are both ancient symbols of protection. It came out a little more day-of-the-dead than I was expecting but I really enjoyed making this piece. I love the final result, it's a bit mental.